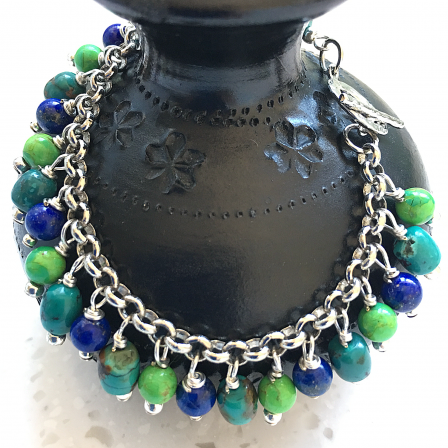 This bracelet is made up of natural turquoise, lapis lazuli and silver-plated chain and findings. Length - 18cm (7in). Length can be customised upon request. 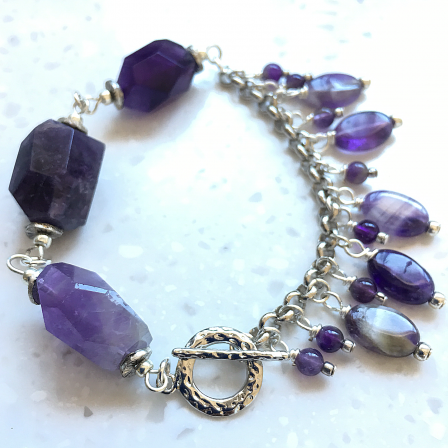 This bracelet is made up of natural amethyst and silver-plated chain and findings. Length - 20cm (8in). Length can be customised upon request. 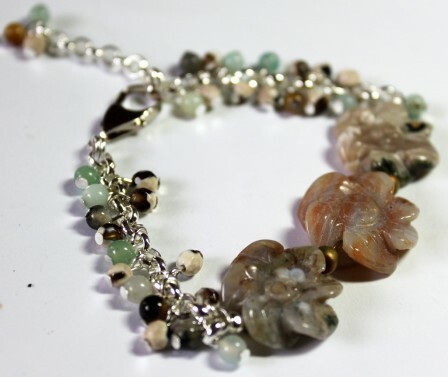 This charm bracelet is made up of Carved Oceam Jasper Flower Beads, Amazonite and Jasper round beads. Length - 18cm, with extension chain up to 22cm. 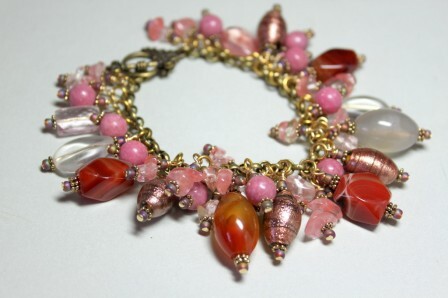 A Vintage Look Charm Bracelet made up of Rhondonite Beads, Agate Beads, Cherry Quartz Chips, assorted Indian Glass and Japanese Seed Beads. This bracelet will fit a wrist size up to 18.5cm.